Rated 5 out of 5 by Tinker bell from Cool Boots Comfortable, practical & great looking boots. Even better if you add shock absorber insoles. Rated 4 out of 5 by Chris112 from Well made Good packaging. nice design. well made. Only problem the rub and cause blisters hoping they “break in” but don’t know how much you can break in rubber.. Rated 5 out of 5 by JoJo24 from Great for slightly larger calfs I have had these wellies (in black) for a couple of weeks and the comfort and quality are what you would expect from Hunter. I also have slightly larger calf too, so the adjustable side is just perfect for me, I can even wear them with a nice and toasty pair of wellie socks too. Rated 5 out of 5 by Whitey9994 from Perfect They are really comfy and fit perfectly. They are perfect for the need that I have for them. Rated 5 out of 5 by Eva22 from The only pair that fit me!! Just bought these last week! 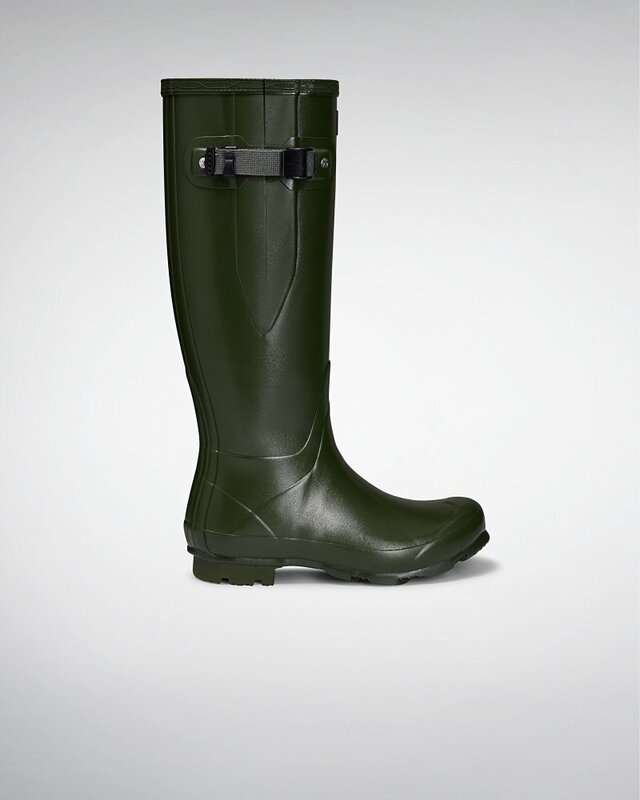 Absolutely incredible so comfortable and flexible I have a large calf and all of them were either too tight or too loose, I was on the hunt for my hunters for over a year and I have never seen these in store so I thought I’d take a risk and order them. These were made for me! Although I did notice a little defect on one the strap which is unfortunate but will be purachsing them in a different color soon!